Together with the agencies Czar and Freistil, we supplied three of our most experienced athletes for the shoe manufacturer Deichmann. The trio spent 8 adventurous days in the beautiful Barcelona, with their good friend Felix Quinton, to shoot the commercial. 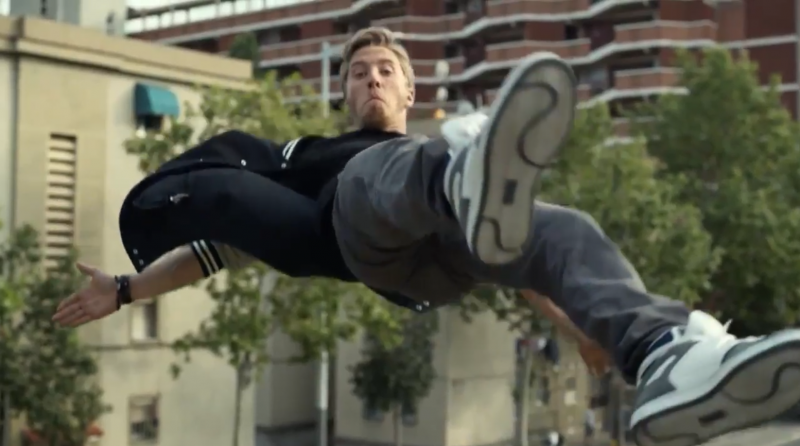 The “Deichmann Streetstyle Image Spot” for autumn 2014 featured besides Parkour and Freerunning also Breakdance and Dance scenes and follows a fresh approach to present the brand. Team spirit was the main theme in the commercial and inforces the motto “because brands are invincible”. We are very happy about the result and proud to be represented in German TV with two Ashigaru athletes at the same time.